Reading with useful vocabulary about travelling on holidays. 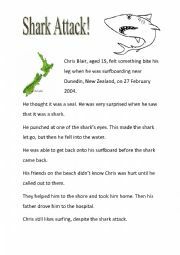 Comprehension questions. 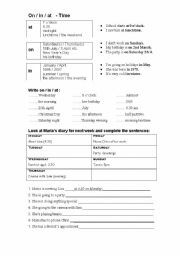 Exercise with directions: North South East West Exercise with simple past tense verbs. Using on / in / at when used to indicate time. Explanation and exercises. 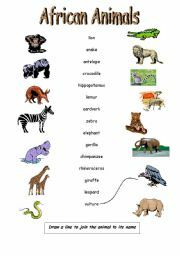 Some commonly used words which have opposites made by adding prefixes. 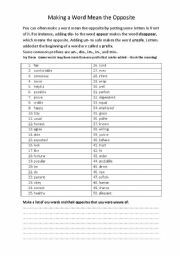 Revise spelling and build vocabulary using this exercise. Answer key included. What are they doing now and what were they doing yesterday? 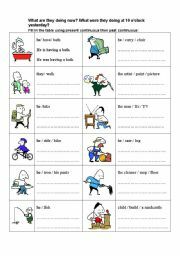 Use the pictures and the words given to fill in the table with present continuous and past continuous sentences. Example: he / ride / bike He is riding a bike. He was riding a bike. 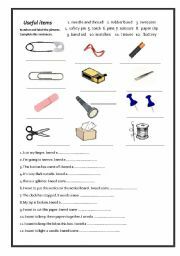 A worksheet which covers useful items we use for small emergencies and repairs. A labelling exercise, followed by fill the gap sentences. An easy but interesting ws about the lifecycle of the mosquito. 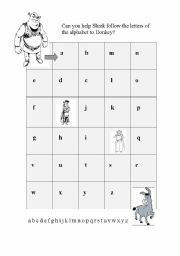 I also use some of my worksheets with special needs students so I have left the easy counting page for those who want it.